The Star TSP100 Thermal Receipt Printer is compatible with the ePay Charge Retail software. 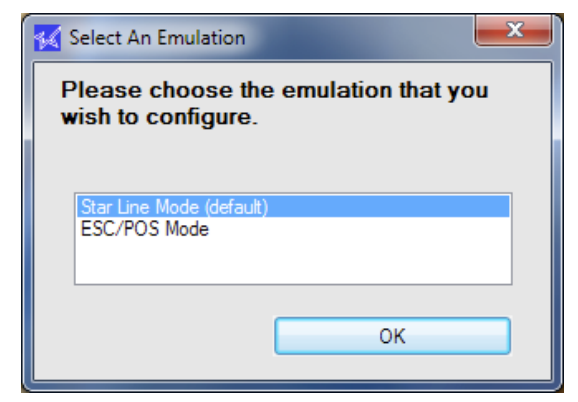 Turn on the Star Printer and start the Star Micronics “Configuration Utility” application. 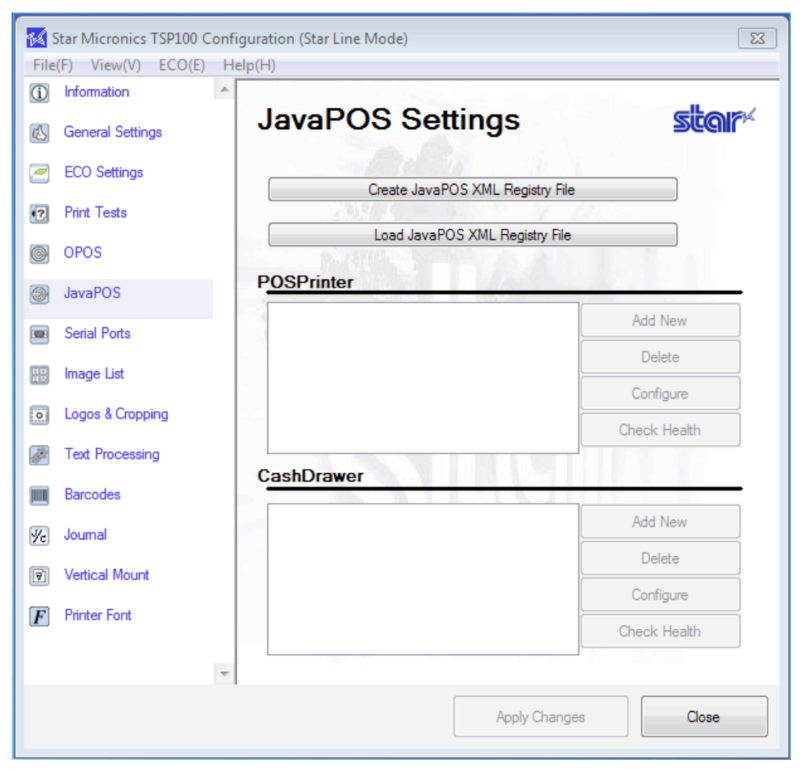 Select “JavaPOS” from the left hand menu and save the folder to the default location. If the “Add New” button is not enabled, refer back to Step 3. Click the “Configure” button. Make sure “Do Checked Block Printing” is checked and click “Accept. Click the “Check Health” button. You will be required to save the configuration settings. Click “Yes” in the “Apply Changes” window. Once the setup it successful, a “Check Health” receipt will print automatically from the TSP printer. To add the Star TSP100 device to your software, please first sign in to your ePay Charge software.